India is a home to many religions and all these religions have important places of worship. Buddhist Pilgrimage tour also deals with the important places of worship like Sravasti, Kushinagar, Patna, Rajgir, Bodhgaya and Varanasi. All the sacred sites have been associated with Lord Buddha right from his birth to the rise of Buddhism in India. This tour covers 12 Days and 11 Nights. This morning is at leisure. 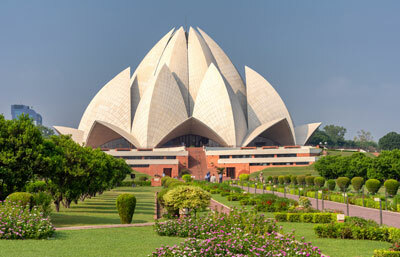 In the afternoon we will drive to the railway station for the train to Lucknow. Upon arrival in Lucknow, we will drive further to Sravasti. Sravasti (ancient Savatthi) was the capital of Kosala Mahajanapada and was the biggest town in the Gangetic plains during the Buddha's lifetime. Sravasti was host to the Master for 25 years during the annual vassavasa (rain retreat) when the Sangha congregated at one place. Sravasti is situated in Gonda district in eastern Uttar Pradesh, called Sahet-Mahet. In Sravasti we visit the famous monastery where Lord Buddha spent 24 rainy seasons preaching. Today in the morning drive from Sravasti to Kushinagar. Kushinagar is the place that the Buddha chose for his Mahaparinirvana, or final exit from this earth. Kushinagar or Kushinara as it was then known was the capital of the Malla republic, one of the republican states of northern India during the 6th and 5th centuries BC. There are several new monasteries and temples. Today we visit the Rambhar Stupa that marks Buddha's cremation ground. Mahakashyapa lit the funeral pyre at Mukutabandha Vihara (Rambhar Stupa) in Kushinagar. Today not much remains of this stupa expect a large brick mound rising to a height of almost 15 metres set within a well-kept park. We also visit the large Burmese Chandramani Bhikshu Bharamasala. This is the oldest monastery in Kushinagar. We will also visit the Kushinagar Museum. In the morning after having breakfast we drive further to Patna. Patna, the ancient Indian town of Pataliputra was thriving township during the Buddha's lifetime. Patna, the state capital of Bihar is situated on the banks of the Ganga. It is the major entry point for pilgrims who wish to travel in the footsteps of the Buddha. Today we will drive to Kumrahar to see the ruins of Pataliputra, which is about 6 km from Gandhi Maidan. The remains of a massive assembly hall with bases of 80 pillars have been excavated at the site, of which only one pillar remains intact. Today after having breakfast we have sightseeing in Patna. Today we visit Patna Museum, Golghar, Patna Sahib. The British established the Patna Museum in the year 1917. This museum has more than 50,000 rare and valuable antiquities and art objects. The most prized possession here is the Holy Relic Casket containing the sacred ashes of the Buddha, unearthed in Vaishali. Golghar is a mammoth concrete granary built by the British, subsequent to the great famine of 1770. Two spiral staircases from either side lead to the top, which affords a panoramic view of the Ganga and the town. Gurudwara Har Mandir Sahib, popularly known as Patna Sahib is the sacred shrine of the Sikhs. The site is hallowed as the birthplace of the 10th Guru of the Sikhs, Guru Gobind Singh. Between Patna and Patna Sahib is Gulzarbagh, where the opium factory and the storehouses of the British were located. It now houses the Government Printing Press. In the morning after having breakfast we drive to Rajgir. Enroute we visit Nalanda, the ancient Buddhist University. During the lifetime of the Buddha Rajgir (Rajgriha) was the capital of the powerful Magadhan kingdom, ruled by the virtuous king Bimbisara. Rajgir is about 100 km from Patna. This town attracts various pilgrims and tourists. The town also boasts the largest number of horse drawn carriages. Today we will visit the Vishwa Shanti Stupa. It is a marble structure with niches bearing golden images of the Buddha, built by the Nipponza Myohoji sect of Japan. Opposite the Stupa stands the Saddharma Buddha Vihara. Then we will drive further to Griddhakuta. The strange rock protrusion resembling a vulture's beak probably gave the hill its name. In the rock cut caves here the Buddha spent many rainy seasons, meditating and preaching. Rajgir is also famous for its seven hot Sulphur Springs, Satadhara. Satadhara is situated at the foot of Vaibhava Hill. The hot springs are a part of the Lakshmi Narayan Temple complex. In the morning after having breakfast we drive to Bodhgaya. Bodhgaya (once Uruvela village) is the place where 2500 years ago in the 6th century BC, a young ascetic, Siddhartha attained enlightenment to become the Buddha and found Buddhism, one of the world's oldest religions. 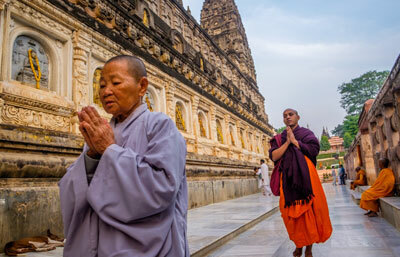 Bodhgaya is the spiritual home of the Buddhists. Today we visit the Mahabodhi temple built to mark the spot where the Buddha attained enlightenment. The famous Mahabodhi temple, which stands in the centre of the Mahabodhi Temple Complex, has been restored and rebuilt over the centuries. The Mahabodhi Temple Complex houses all the major pilgrimage spots. A large circular stone with the Buddha's footprints is kept in a small shrine on the left. We also visit the Bodhgaya museum that is located near the Mahabodhi temple. It houses antiquities excavated in and around Bodhgaya. It has a large collection of Buddhist and Hindu relics, terracotta seals, scriptures and pillars from the Sunga period. In the morning we drive further to Varanasi. Varanasi is without doubt India's most sacred city and thus visited by over one million people. Varanasi is also called the city of light - Kashi or Benaras. Buddha visited this city in 500 BC. 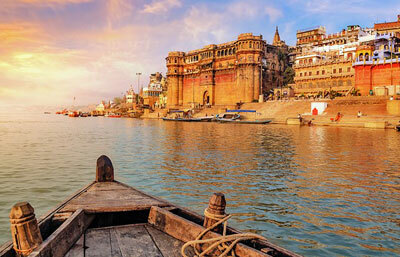 Varanasi is regarded as one of the oldest and the holiest city. According to the Indian chronicles, Varanasi was established as a city around twelve hundred years ago before the Christian era. 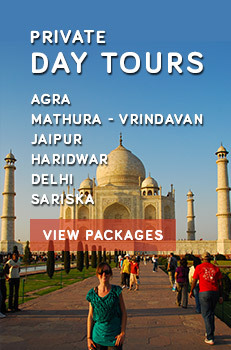 In the early morning we take boat - ride on the holy River Ganges and enjoy sunrise on the boat. Ghats (flight of steps) and the activities of pilgrims on that, are the principal attraction for visitors to Varanasi. Thousands of pilgrims and devotees visit this city to make holy prayers, to meditate and to purify themselves through taking a bath in the holy river Ganges. In the noon we visit the city of Varanasi. In the afternoon we drive to the airport for the flight from Varanasi to New Delhi. In New Delhi we have rest of the day at leisure. Rooms are available to get fresh and change before we depart to the airport with Caper Travels representative. Tour concludes: Caper thanks you for your patronage and ensures a punctual transfer to the Railway Station / Airport for your onward travel.